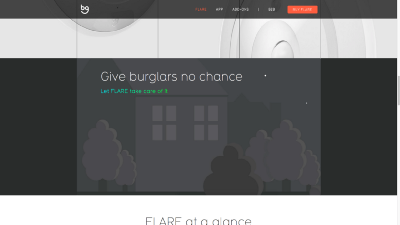 BuddyGuard, the Berlin-based smart home startup, raised €3.4 Million from Bachmann Group for their AI-empowered security camera called FLARE. 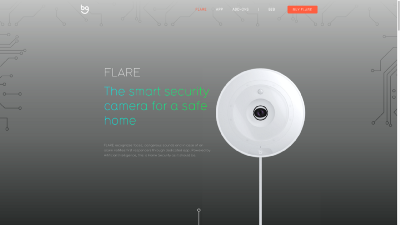 BuddyGuard’s FLARE is an independently acting camera, equipped with, amongst others, a battery, Wi-Fi, cellular, motion sensors and a microphone. Using these features and the built-in AI-capabilities, FLARE detects conspicuous movements or noises and alerts first responders if necessary. The AI distinguishes between you (including your pets) and unknown people and acts accordingly. 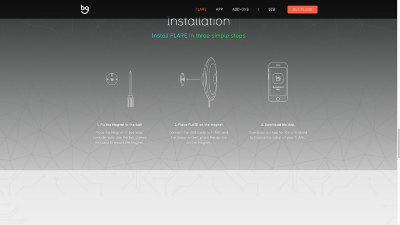 You can further enhance the FLARE’s capabilities by subscribing to one of BuddyGuard’s add-ons. These add-ons are BuddySIM (for when Wi-Fi is unavailable), BuddyReact (for automatic contacting the police and a live-stream to BuddyGuard’s monitoring center), BuddyCall (call and text alert in the case of unexpected activities), and BuddyCloud (cloud for the video material). 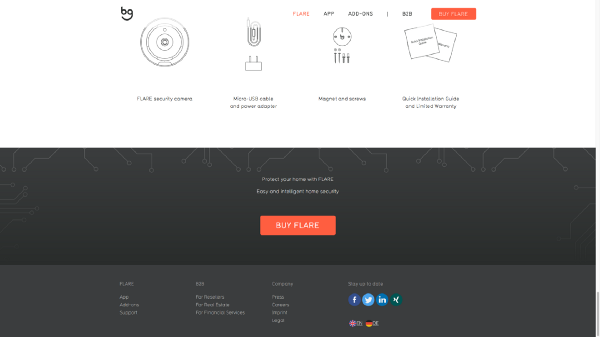 The FLARE itself costs €449 and BuddyGuard markets it as products for B2C and B2B. 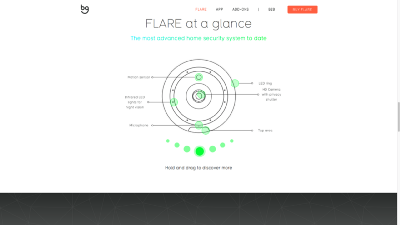 FLARE’s main difference compared to alternatives is their AI. Other cameras have similar functionality. For instance, several are equipped with motion detection, animal- or voice detection. However, as none of them comes with AI technology, you must set certain of these functions, for instance, the threshold for voice-alerts, manually. Thus, set-up and ongoing observance is something where FLARE’s AI helps BuddgyGuard to differentiate itself. 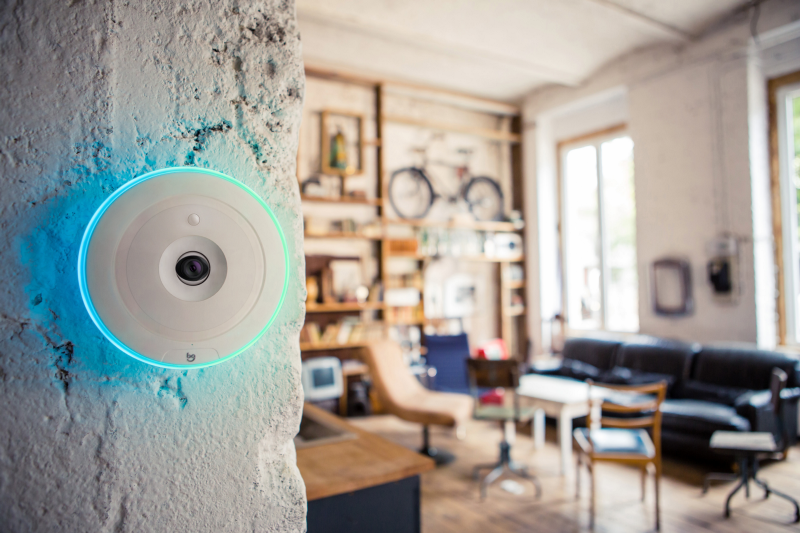 This differentiation is important because the indoor-camera market is crowded (e. g. Nest, Netatmo Welcome, Netgear Arlo Q Plus, TP-Link NC450 or Foscam C1 Lite). However, all these cameras just mentioned are cheaper than FLARE. The Netgear Arlo Q Plus is with €315 the most expensive one. Furthermore, FLARE is not well known. First and foremost, Stiftung Warentest (one of the most known and trusted independent consumer review organizations in Germany) did not include them in their latest review. Furthermore, they only have three reviews on Amazon.de (all, by the way, one star) and one of their major competitors, Smartfrog, in contrast, has 136. The security cameras market is very crowded but also very commoditized. Al cameras mostly the same features, just at different quality levels and with a different design. What almost all cameras lack, however, is image recognition (animals, vehicles, people). From here it makes sense to assume that FLARE’s AI capabilities are what made them an attractive investment for Bachmann Group. 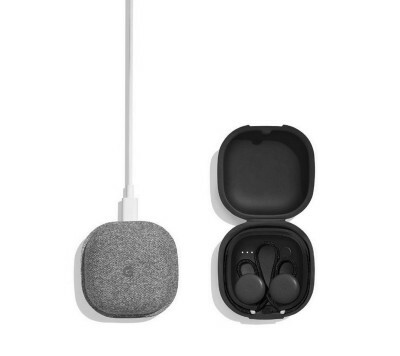 Looking at the overall hardware landscape, Google’s Pixel Buds and Google Clips, it makes even more sense. Google’s Pixel Buds (see Google’s Pixel Buds, Bragi, and the power of incumbents) are Google’s hearables (see What are actually hearables) that make it easier to access Google Translate for live voice-translation. The overall message is that Google took a product from a commoditized category and pushed the S-curve back by adding AI as the new differentiating feature. The case is similar with the Clips. The Google Clips is a hand-size camera equipped whose built-in AI takes pictures of moments it deems worth shooting. There are a few things worth mentioning about the Clips. It points at the decentralization of the smartphone through hardware, the trend of cameras everywhere and most interestingly it shows how hardware products, including cameras, are especially differentiating through software. Based on this, it is safe to say that automated (AI-based) security cameras are the future. It is just not safe to say how big of a future they have and whether BuddyGuard is the future. Despite, AI being BuddyGuard’s I am curious whether BuddyGuard’s premium price justifies their AI-capabilities and how good they actually work especially in dark scenes or when people are not looking directly at it. Furthermore, one must not forget that there are several face recognition services that can be implemented by BuddyGuard’s competitors. Home security depends a lot on macro factors. One of the biggest drivers is crime rate. The more dangerous the country, the more security plays a role. Up until 2016, the number of break-ins has been rising in Germany. Related to that, the revenue in electronic-based security measures (e. g. intrusion detection or video surveillance) has been rising over the last three years but stagnated the years before that. However, it has to be noted that a subvention for home security became available in 2015. Whether crime and subvention influenced the increase in revenue cannot be said, but it is more than logical to assume a correlation here. The more crime (and the more subvention), the more people will buy security systems. Assuming further that Germany — and any other of BuddyGuard’s markets — is becoming safer, one must question how great the demand is going to be. With demand constraints in mind, BuddyGuard’s add-ons make a lot of sense. However, smartfrog’s hardware subsidiary plan makes even more sense. At smartfrog you can either buy the camera for 149€ or rent it for 5,95€ per month). smartfrog, who, by the way, has raised a total of $31,961,128 (Crunchbase), does another thing extremely well, namely storytelling. One of the criticisms around the smart homes is that companies focus too much on features instead of uses case. This criticism is true for BuddyGuard but not smartfrog. 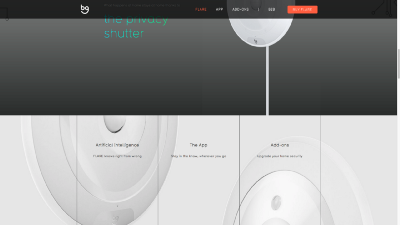 Whereas smartfrog’s whole product presentation focuses on use cases, BuddyGuard tends to emphasize its camera’s features. Take a look at their websites or the screenshots below. Significant about that is how they go beyond security (“Protect your Home“ and „For Business”) into people and animal well being („Watch your Pets“, „Baby Monitor“, and „Loved ones who need care“). 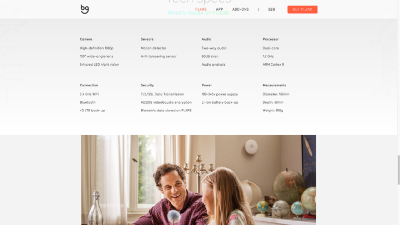 This change in positioning is powerful because it allows smartfrog not only to target a consumer base far bigger than the “home security-group“, but also partially solves the biggest smart home problem, lack of value. 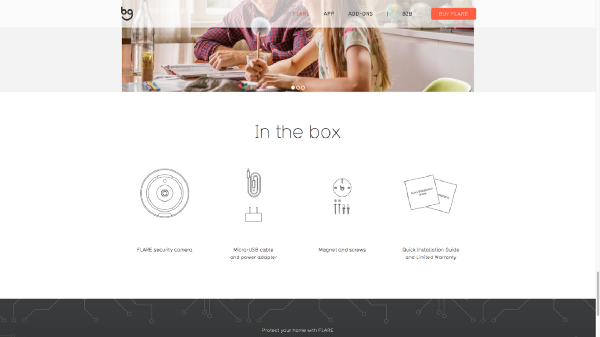 As I have argued in Parce, Pariot and home-ix (three German smart home startups), the biggest reasons against a smart home is lack of relative advantage compared to a normal home. This relative advantage depends on network effects. The more smart home products you have in your home, the more useful your home is (in fact, it might only be useful after a certain amount of devices). 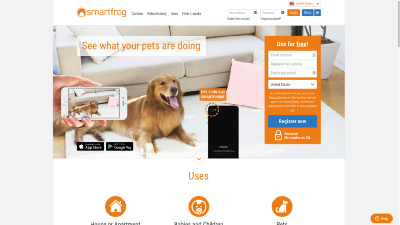 smartfrog, by offering multiple use cases through one device can relatively easily combat that problem. As a final side not to smartfrog, their use cases also point at the general trend towards digital hangouts. Digital hangouts are about digital live togetherness. The Houseparty app where people just hang out in video form is maybe the best example for that. 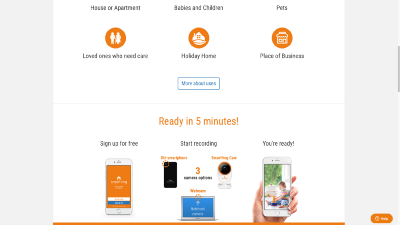 smartfrog’s „Baby Monitor“ use cases, for instance, is a digital hangout with your baby. A couple of ex GitHub-lers, among them GitHub co-founder Tom Preston-Werner, started Chatterbug, an online tool for language learning, last week. Chatterbug combines personalized curriculums (based on your progress) with video tutors and self-study language learning (quizzes and similar). Their main selling point is the frictionless integration off video tutors and traditional language learning. Frictionless through easy tutor-learner coordination, learning tools for tutor-learner interaction and personalized curriculums (provided by Chatterbug and coherent with the progress made in self-study and tutoring). Surprisingly none of their biggest competitors (Rosetta Stone, Babbel, Duolingo…) offers anything similar. Furthermore, two of Germany’s biggest online tutors PrepLounge (preparation for consulting jobs) and Studienkreis (private teaching) both lack that deep connection between self-learning (through quizzes, and similar) and tutoring. Studienkreis goes even so far and demands from the student to use Skype, up to two other tools for collaboration, and the student has to submit her learning material through a webcam or pictures taken on a smartphone. The UX is far from pleasant. As I will explain further below, motivating people to stick with learning tools is one of the biggest challenges for companies in that area. Chatterbug combats this by integrating a goal-setting feature into their application. In this, the learner sets the time by when she wants to be fluent, and Chatterbug shows how much learning is necessary. Not only is this feature interesting because it sets realistic expectations, but it also ties into the overall charm behind Chatterbug. Yes, Chatterbug is one of many language learning apps, but here details matter and shrugging it off as yet another learning app misses the point. In fact, even looking at it as a learning app, might miss the point. As a disclaimer, I have not yet used Chatterbug for more than a couple of minutes, but the concept is intriguing. 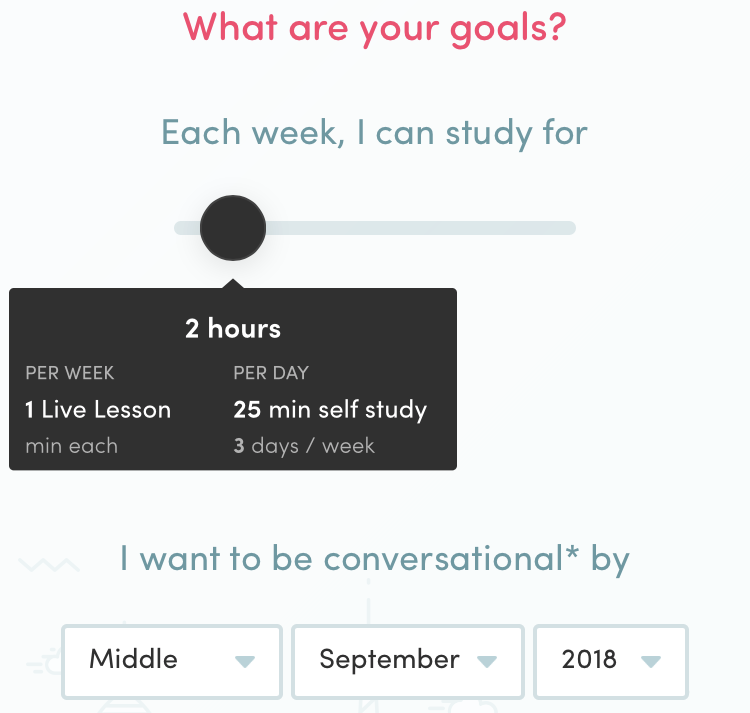 What fascinates me is how they are creating a learning system by bridging online (tutoring) and offline (self-study) and integrating it into a learning plan. Applied to, for instance, classroom-learning this would mean that you could create a learning system for students which allows teachers to assess students’ progress and that allows students to realistically measure their progress and set timelines for upcoming exams. There are, of course, multiple issues when it comes to implementing this to other fields (the AI’s accuracy in assessing a learners’ progress, creation of interactive content…) but Chatterbug could be one of these Tinders or Ubers whose model would be copied in a range of Tinder/Uber for X. Anyway, when talking about Chatterbug, a company from the EdTech sector, it merits to take a closer look at the German EdTech landscape. Let’s define EdTech very broadly as the use of technology (hardware and software) for educational purposed for work, study, and free time. Funding activity in EdTech seems to be rising again in 2017 after a huge drop in 2015, which, in turn, was preceded by a huge uptick. All in all, not much can be interpreted from these few data points, but it merits to mention the following things. Between 2011 and June 2017 around $10 Billion flowed into the global EdTech industry. 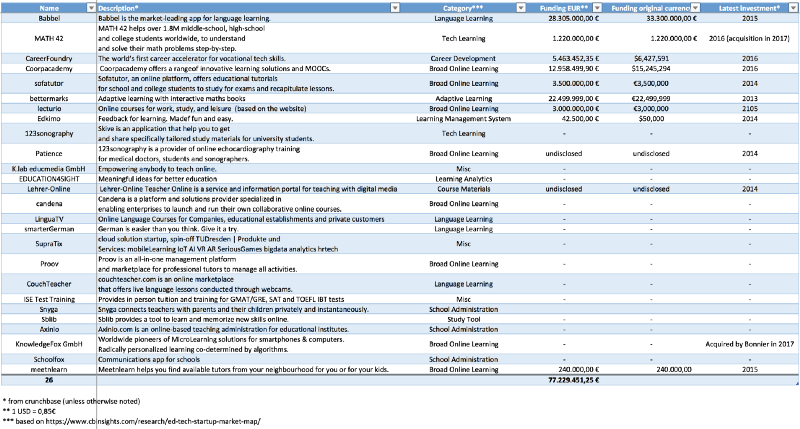 Of these, around $90 Million, or 1%, into German, Austrian, and Swiss startups across 30 EdTech startups. Admittedly, absolute numbers are usually useless, but as it is difficult to find an industry with similar dynamics, it is fair to say that, at least in the DACH-region, it is not the „hottest“ industry. In universities and similar, for instance, startups have to deal with regulations, hierarchies, regulated budgets, and trust. As I have pointed out in “The most important product feature is trust”, trust must not be underestimated as a differentiating factor. Universities have a huge responsibly towards students, and thus society. They cannot risk subjecting students to unproven course material. This short overview of problems ties into the general, fundamental question of how we approach EdTech. To answer that, there are two approaches. The first approach is to ask which problems exist in education (technology pull) and how technology could solve them. This is maybe the more difficult approach, but also the one that makes more sense. I believe that in classroom-learning (schools, universities…) this approach makes more sense. Look for the biggest problems and try to solve them. Identifying then a technology that offers a substantial improvement over existing solutions will ease diffusion. Contrary, one could look at different technologies and how these could solve (non-)existing educational problems (technology push). In this context, Coaching for X refers to the trend where AI-based software enables everybody to get a real coach for everything. Whereas before the only way for you to access a sports coach was hiring a professional, AI enables that to everybody. For instance, the hearable Vi by LifeBEAM is a smart headphone — similar to Google’s Pixel Buds — that gives you real-time coaching while running, and according to a review by Julie Bort from Business Insider works quite well. Another company from that sector I find exciting is emolve. It is a startup, still operating somewhat in stealth mode form Munich, that is working on an AI-based speaking coach. This coach should be capable of giving you feedback on your speech after recording your movements and voice. Although I doubt that their approach will work, it is a nice example of where EdTech in a broader sense is going. If you are from the educational space, have experience in it, or just excited about it, please let me know. I would love to hear your thoughts on my approach to EdTech I have listed above. I have tried my best to make them as thorough as possible, but nothing beats an experts’ opinion! Without having tested their tool (it is not yet available) I think that they are tackling a field too broad for any AI to handle. emolve’s speaking coach should coach you on „presentations and speeches“, job interviews, and „communication skills.“ (from their website). There are dozens of variations in speech across these groups and AI is not yet ready to handle all of them. Rather, they should start with one (narrow) category and then incrementally add new ones. I write a newsletter about the Austrian/German startup landscape four times a week. If you like my posts, you can subscribe here to get them into your inbox. ?